I’ve gone through a rebirth of sorts in the last couple of years. When I say “rebirth”, I don’t mean the kind that would make my lovely missus perk up and scream “Hallelujah!”, but rather one involving my preferred choice of leg-covering garment: Jeans. 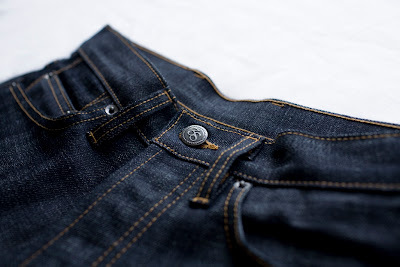 I’ve always worn them and have always thought I was doing it right: Starting at the age thirteen, I was convinced that Diesel was the end-all when it came to denim; I “progressed” to Rag & Bone in my late 20s, and after hearing the words “APC New Standards” one too many times, figured out that raw (as in, unwashed, dry, dark, dark blue) denim is the mature, stylish way to go. Picking up that pair also sent me to Wikipedia’s definition of “selvage” denim, where I learned the benefits of this supreme, gorgeous material and what making a pair of trousers from it implies. 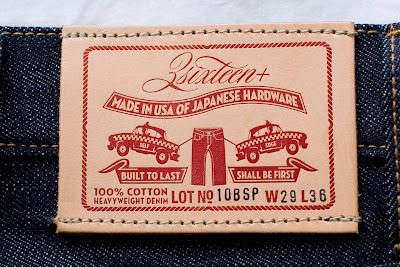 This passing interest in the way denim is weaved has now turned into a somewhat unhealthy, rather out of control obsession that began with my first real pair of big-boy jeans, Levi’s upscale range of authentic reproductions called Levi’s Vintage Clothing (or LVC). I picked up the 1947 model (referring to the way Levi’s made the 501’s at that year: America having had enough of rationing and cost cutting now brought back hidden rivets and stitched arcuates, things seen as indulgences when the whole country was saving money and hence removed during the war) and through diligent non-washing - the only way to wear raw denim if you want to see it fade right - and a somewhat questionable insistence on not wearing anything else, grew to love and realise the utter beauty of real, proper jeans. The way they started showing signs of wear and fading, the fit... Indeed, I had been reborn. And then came the next chapter in my now fully-blown, unruly obsession - A new pair of 3Sixteen’s: a collaboration between Selfedge - a small, specialist denim shop in LA specialising in high-end, obscure, limited jeans made of Japanese denim (the holy grail for the denim purist) and 3Sixteen: a small, specialist jeans designer, based in New York. 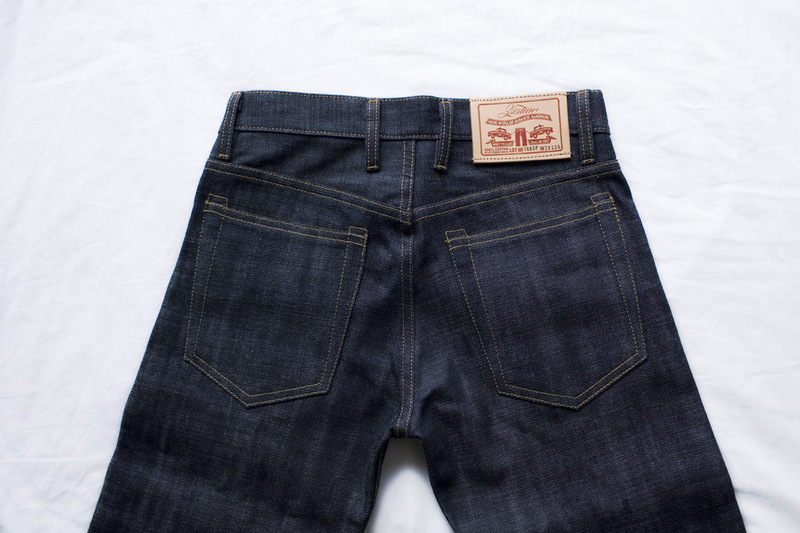 The model name: 3Sixteen+ 10BSP. 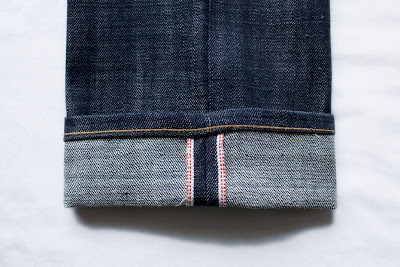 The denim: 14oz indigo rope dyed Japanese selvage with a dual-red selvage ID, hidden rivets and a hand stamped heavy-weight patch made for them by the formidable Tanner Goods. Bearing in mind that the last two sentences made sense to roughly 43 people on the entire planet, know this: these are jeans like you’ve never known to exist. A deep, dark, mesmerisingly blue fabric with texture and weight that can only come from a fabric woven, cut, sewn and finished by hand; The cut - neither douche-slim or rudeboy baggy - perfect in a way the fantastically shite-worthy Earnest True Seven Religion of Humanity of the world will never, ever be; The material itself, dyed and woven in a way that is intended to fade in beautiful, satisfying contrasts on high-abrasion areas, reveals on close inspection a microscopic white fur that, to the touch, brings to mind something between a Tom Ford velvet dinner jacket and the suede seats of a factory-new Aston Martin. The place for one fantastic pair of jeans in anyone’s - yes, anyone’s - closet can not be overstated; The one pair that will go with anything, that will prove to be timeless for another hundred years like denim has been so far, that will blend in without tacky, loud pocket stitching and branding, that will scream everything Ed Hardy jeans owners think theirs are screaming but fail pathetically... The perfect jean. These are those.